Michael Bublé and Adam Green and the Dead Trees. 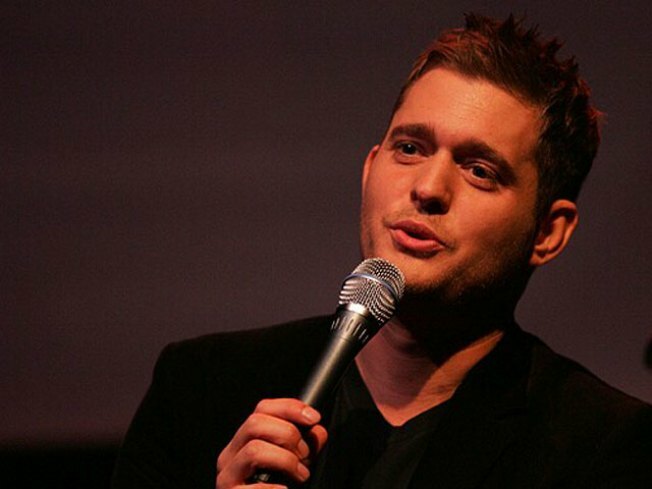 Michael Bublé will be in Oakland tonight. A THROWBACK TO YESTERYEAR: He's no Dean Martin or Frank Sinatra but then who is? Canada's (late) response to the era of swing, Michael Bublé, brings his smooth voice and his throw back sound to the Oracle Arena, 7000 Coliseum Way, in Oakland tonight at 8. And in very non Sinatra form, tickets are still available. But it's a horrible economy, give the man a break. SO NEW YORK: After six albums inspired by life in the Big Apple, Adam Green and the Dead Trees play Cafe Du Nord in San Francisco tonight at 8. He is known for his "bedtime" story style of songwriting and his ability to make a dirty phrase sound cool. Of course he's from New York.